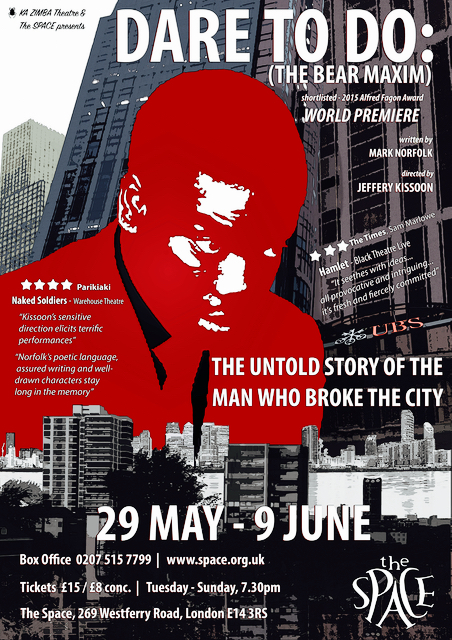 · Mark's contemporary play about the world of finance, Dare To Do was successfully produced at the Space Arts Centre in 2018 by Ka Zimba Theatre. The play, directed by Jeffery Kissoon was noted for its non-binary casting of the lead role. · In 2016, Mark directed Princi I, his own contemporary adaptation of William Shakespeare's Hamlet. The play was produced by Color Art and premiered to a packed Teatri Dodona in Pristina, Kosovo. Translated and performed in Albanian, Mark became only the second director from the UK to direct Hamlet in Kosovo. 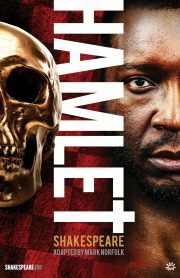 The play followed on the heels of Mark's critically well received adaptation of Hamlet for Black Theatre Live! directed by Jeffery Kissoon, which toured nationally and was noted for being the first ever production in the UK featuring an all black cast... and crew! · In 2015 Mark became the first playwright to be awarded the Roland Rees Bursary Award which was presented to him by Yvonne Brewster OBE at the annual Alfred Fagon Awards at the National Theatre, London. · A Greek Stage adaptation of Mark's feature film Ham & The Piper was successfully staged in 2016 at the Sofouli Theater in Thessaloniki, Greece, adapted and directed by Lanthimos Karzitoglou. · In 2013 Mark was co-author of Blair's Children, a play commissioned by the Cockpit Theatre with four other well-known playwrights. The play explored former Prime Minister Tony Blair's effect on the nation during his time in office. In 2011 Mark's thought-provoking Where The Flowers Grow was produced at the Warehouse Theatre following on from the critically acclaimed production of Naked Soldiers the previous year. · As a writer in Attachment at the Soho Theatre & Writers' Centre Mark's play Wrong Place was commissioned and produced in 2003 directed by Abigail Morris. His play Knock Down Ginger opened the 2002 Premio Candoni Arte Terme per La Nuove Drammaturgia at Teatro Sanzio in Urbino, Italy after winning the International Playwriting Competition. A production at the Warehouse Theatre followed in 2003 directed by Jeffery Kissoon picking up a Guardian Arts Award as well as an award nomination from the CRE.Wrong Place, Knock Down Ginger, Naked Soldiers and Where The Flowers Grow are published by Oberon Books as part of their Modern Play Series, whilst his recent stagetexts, Hamlet and Dare To Do were published by Aurora Metro Publishing. · Mark's short plays include Dinner For Bono, an adaptation of the novel, Citylink written by Ugandan novelist Jackee Butesta Batanda and commissioned by Flight 5065 for inaugural performances on the London Eye; A Walk In The Park commissioned by Talawa Theatre for Unchained, their 25th anniversary celebratory performances at Soho Theatre and Dear Mama commissioned by Pascal Theatre Company performed at Swiss Cottage Library.